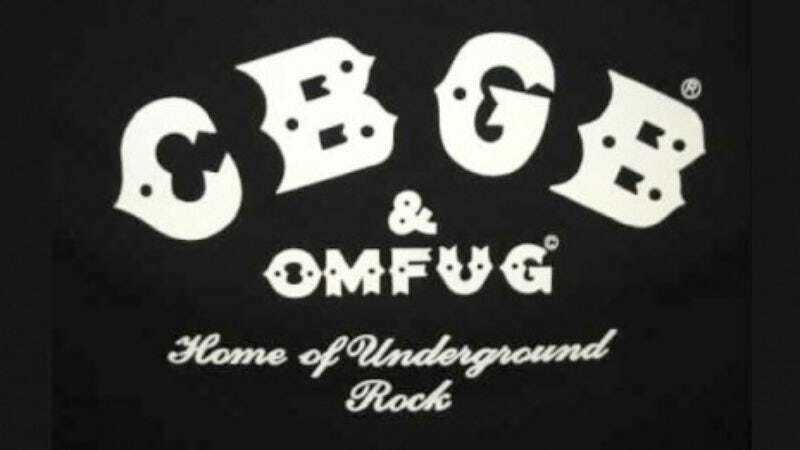 It’s been six years since the legendary New York club CBGB shut down, but there’s new life in at least the club’s spirit with the announcement of a four-day festival this July. The New York Times reported today that a group of new investors—including some with ties to the original club—will launch the festival this July, featuring film screenings, panels, and over 300 bands performing across dozens of small clubs in Manhattan and Brooklyn. The music portion of the fest, happening July 5 and 6, will culminate in a large concert at Summerstage in Central Park on July 7. The initial lineup includes, of course, plenty of punk (Rocket From The Tombs, Cro-Mags) but also The Baseball Project, Pains Of Being Pure At Heart, Craig Finn, and Guided By Voices. If the festival seems a bit like SXSW, well, that’s because the organizers have specifically modeled the new fest after the annual Austin gathering (as well as the annual CMJ fest). The Times article also delves in to the complicated intricacies of the old club’s ownership woes, particularly following the 2007 death of club founder Hilly Krystal. Tim Hayes, one of the club’s new investors, told the Times there are now plans in motion to reopen the club in a new location in Lower Manhattan. The new club, if and when it opens, will have most of the trappings of the shuttered club at its disposal: A theatrical company dismantled and itemized everything from the bar itself to set lists and put it all in storage in Williamsburg, Brooklyn. But Mr. Hayes and Mr. D’Urso said they did not want to open a “museum installation” aimed at tourists. They hope to re-establish CBGB as a vibrant downtown club that will present original bands. None of these moves are likely to raise the ire of former patrons and fans of the club or spur controversy. Nope, not at all.